Whether it came by choice, or you fell victim to the downturn that many other executives lost jobs to, re-entering the job market can be a problematic for many executives. A gap in your employment history can be a disadvantage because many employers only want to hire those who are currently working. A stigma has lingered over the heads of those whom have been unemployed, something that has been difficult to shift. However, those negative assumptions seem to have been overturned according to Sally Stetson, a principal at executive recruiters Salveson Stetson Group. Due to the market having seen the bottom of the recession and pay for executives starting to pick up again, she believes companies are now looking for the best talent, whether they’re in a job or not. The first step, to help you plan your roadmap ahead is clarifying your objectives. The job market is utilising the help of tools to vet candidates nowadays so clearly identifying where you want to be will aid this. Clarify whether your current/previous skills are relevant in today’s workforce. Figure out where you see yourself within organisations, read up on job specifications, talk to old colleagues and see if your objectives are realistic, and if so, target your applications for such roles. By having a clear focus and understanding of your current skills and objectives about where you want to be and what you bring to an organisation, such knowledge will prove to be an asset come interview time. This is because there will always be a shadow of doubt surrounding why you have been unemployed for a lengthy period of time. We don’t mean strategy questions in interviews, we mean the why you have been unemployed for so long, why do you want to work, you’re over 65, the tough questions that every employer is concerned about. Be prepared to answer these questions through examples of your commitment and experience. You want to use your experience to your advantage. Whether this is through a 5-10 year plan showing your commitment to the organisation (particularly important for older executives) or by providing examples of how older employees have benefited your organisations in the past, there are many ways to do this. Identify what the real issue might be with yourself (i.e. age, employment gap, fired from last job) and come up with a way to answer it that shows your strengths/youthfulness/experience/learning’s. As you would have experienced, many executive jobs are not publicly advertised. They’re either advertised internally or given to executive search and recruitment firms. This is only one of the reasons why it is essentially to start networking. Whether it is on LinkedIn, connecting with headhunters and recruiters, or speaking with many past colleagues and friends, letting the right people know you are looking for a job again can go a long way. LinkedIn is not only a great tool to use, but social media in general is a great asset older executives can exploit to not only build their network but show their technological mastery. Consider seeking a greater understanding of such tools to enhance your chance of networking with potential job opportunities. With 97% of recruiters using LinkedIn, it would be an opportunity you’d be missing out on. Don’t be afraid to start this phase earlier than when you may actually be looking for a job. It can give you a good idea about what you will have to do and also how many positions are available. From experience, you may surprise yourself just how effective this is and just how wiling your network is to help out. This may be the biggest difference you will encounter when applying for jobs online. Yes, many executive positions are not advertised online, however, having a strong resume that is optimised is essential for two reasons. The use of machines to automate the recruitment process has grown significantly in the past decade. Due to recruitment firms being inundated with CVs, they use such tools to help them filter relevant applications/CVs from irrelevant ones. In many cases, executive CVs often get lost in the pile, as their CV is not adequately optimised and recognised for such tools. I’ve often heard many executives’ frustrations about not even getting a phone call regarding positions they have applied for that they are in fact well over qualified for. If your CV does not have the right words or is formatted in a way that is not readable by the computer, it will always struggle to penetrate via this avenue. Don’t let this talk put you off uploading your CV to recruitment websites and online job applications. Providing it is optimised correctly, it will continue to do work for you, as you pursue different avenues. But, if such tools cannot pick it up easily, then maybe it’s time you asked for help? Obviously it first must pass the automation test, but then must also be able to adequately convey your strengths as an executive candidate. With a comprehensive background of experience, it can be easy to go into considerable detail and provide a CV with many pages of information. However, this may end up in the bin as well. 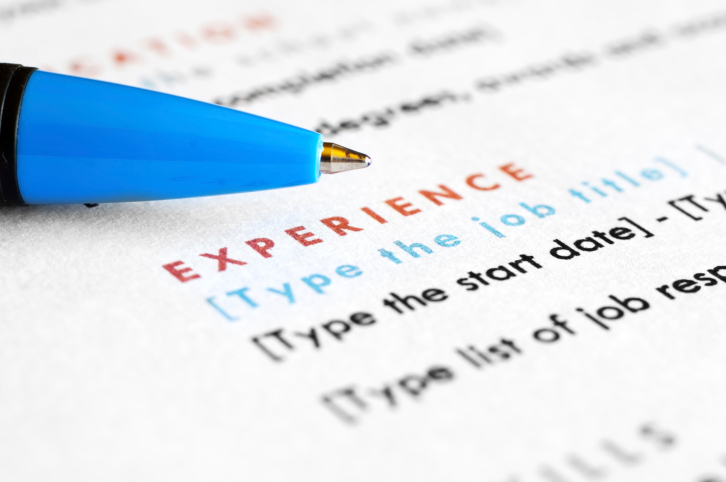 Ensuring you have the best information in the right areas is the key to a strongly formatted and written CV but is always easier said than done. Finding the right balance between both is a tough trick to master. Seek the advice of recruitment firms and CV writing professionals. If you would like to talk to one of our senior relationship managers who are willing to provide you with a free CV appraisal, then click the button below and upload your CV and we’ll be in touch. One of the greatest fears employers have about hiring someone who has been out of a job for a while is the potential to be ‘out of the loop’ in terms of the current regions/business trends. Research it in and out. Be ready to provide solutions to such problems to allay doubts. Do you have the confidence to approach the job market? If you ever need a helping hand, we’re always here for assistance. Let us know, upload your CV and we’ll get in touch.